History - KMS ENGINEERING Ltd.
KMS ENGINEERING – Expertise for more than 40 years! One history film for our technology back in 1973. The company has developed various machine solutions for assembly, processing and feeding. Orienting and feeding device for part “Column” 2 pcs. 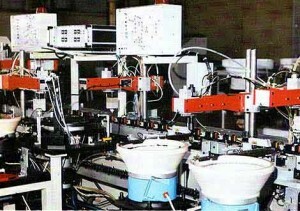 Dosing machine for braking fluid in bottles 1l and 4l with system for caps tightening, 2 pcs. Packing machine for fasteners and squares for door lockers. Pneumatic pressing units 5 pcs. Elevators for small parts 2 pcs. 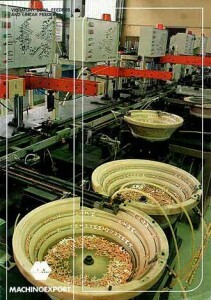 Vibratory bowl feeders f100 2 pcs. -> left and right for orientation sensor enclosures for FESTO company. Elaboration of technological outfits for LIEBHERR Maritsa. Throughout the whole period the company has been developing and manufacturing machines and devices for in-plant usage like for example cam presses, packing and dosing devices, wood-working machines (lathes, milling machines, leveling machines, round wooden poles production machines), pipe segments cutting machines, sheet bending machines and so on…. In the year 2001 the company signed its first contract with the companies LIEBHERR Bulgaria and LIEBHERR LIENZ Austria. In the year 2000 along with the production of curtain-rods the company continued with the design and production of machines and devices. 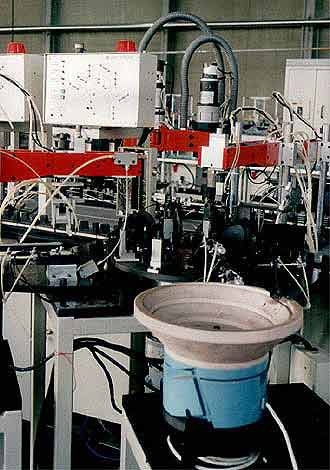 the company developed full technological equipment and machinery for mass manufacture of decorative curtain-rods, which included an industrial vacuum system for plastics metallizing , syringe forms, packaging machines, wire-processing automatic devices, and so on. After mastering the production the company developed its own sales network. KMS Engineering Ltd. attracted attention through designing and developing assembling automated devices for the company KLEIST KUNSTSTOFFE Germany. The same year is the first time when the company was presented at the International Technical Fair, Plovdiv. Some contacts were established that led to orders from several other companies. In 1982 a golden medal was won at the Technical Fair of Plovdiv. Rotary Index tables and so on. The main aim of company KAM has been to fulfill all the tasks related to process automation for the entire former East block with the enterprise reaching 4000 people staff. КАМ starts working in close relation with SORMEL company, France. This company is well known as a contractor from the MATRA group (military industry). KAM bought many industrial licenses from SORMEL. KAM received prestigious American prizes in recognition of being the quickest developing company. KAM was closed down in 1993 after losing its natural market and due to the decreasing demand of the main company products. Since 1973 engineer Zapryan Mitev has been actively participating in the developing activities in the field of custom machinery – as part of the facility for scientific and technical development. Later, in the Balkan Factory, as the head of the Special Technical Equipment (STE) workshop, he contributed for the automation and mechanizing of the Electric Appliance Plants, in the town of Plovdiv. 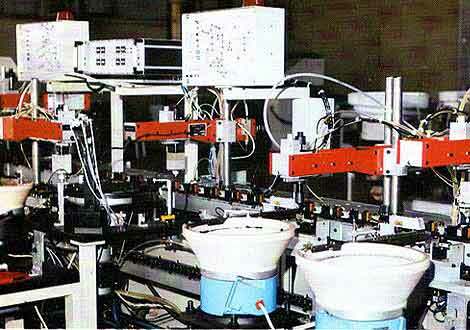 Testing stands, mechanisms and automated devices for the manufacture, as well as assembly lines have been installed. 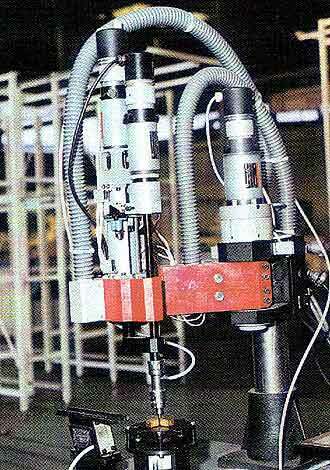 Engineer Mitev developed a wide range of discrete pneumatic manipulators in relation to the needs of the manufacture. 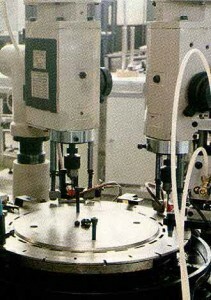 Close business relations were established with the Automation of Discrete Manufacture Department at the Technical University of Sofia, in Sofia headed at that time by Professor Ganovski. This has led to a long-lasting and beneficial partnership.